The first full trailer for the upcoming live-action Aladdin movie, which opens in theatres on May 24, dropped during the Grammy Awards last night, and it's looking pretty awesome. 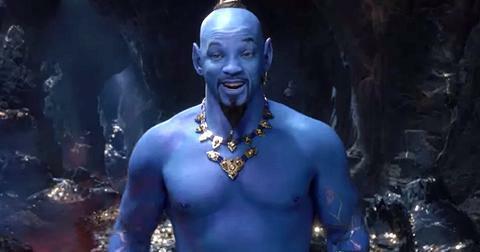 Guy Ritchie's live-action Aladdin features Will Smith as the Genie, while newcomer Mena Massoud will take on the lead as Aladdin and Naomi Scott was also announced as Jasmine. But not everyone seems to be enjoying Genie as much as Will, with others thinking it's the stuff of nightmares. Some Twitter users were truly shocked by the moment. Others, however, seemed to be down with the look.